The Turkish government is considering the possibility of acquiring the newest Russian Su-57 fighters due to possible US sanctions and a ban on the supply to Ankara of American fighters of the 5th generation F-35. Perspectives of such a deal were evaluated by the Turkish military expert Hakan Qilish in his article for the website Kokpit.aero. According to the expert, Turkey should not make a deal for the supply of fifth-generation fighter aircraft Su-57. According to him, the problem is “technical deficiencies and incompleteness” of the machine, as well as the fact that Russia will most likely refuse to transfer the most advanced technologies to the NATO member state. “Where has it been seen that the country will sell its aircraft (the newest one -“ MK ”), which in future will become the basis of aviation, a member of NATO ?, the expert asks rhetorically. – No one sells the latest technology. The expert also spoke about the possible technical shortcomings of the Russian aircraft, which will make it vulnerable in a possible battle against the latest American fighter jets. “The Russian school attached great importance to combat effectiveness, not stealth, and did not sacrifice flight range, payload and maneuverability. For this reason, the Su-57 seems to have greater maneuverability than any Western and Chinese aircraft. But there is a problem. The Russians claim that the future generation of aircraft is not equipped with stealth technology, since they make radars that American aircraft can see. However, if the Russians ’calculation (on radars. -“ MK ”) does not come true, they will fail, the expert said. – Probably, if we had the opportunity to purchase aircraft in Russia, we would be offered a model MiG-35. The MiG-35 is an aircraft that was developed for export purposes and was not used in the Russian HQs. 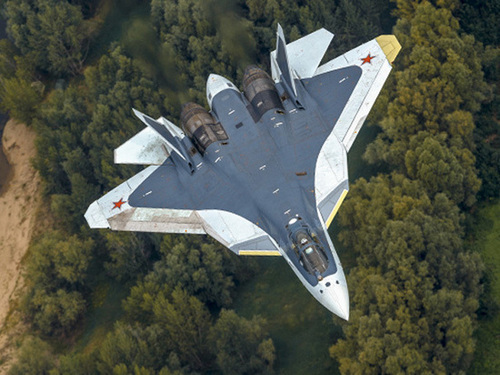 This is the most modernized version of the famous twin-engine MiG-29, the expert said. If dependence on Russia is not a problem, we will get a MiG-35.